Hadrurus spadix is another large species of scorpion found in the United States. The specimen in this photo was found near Page, Arizona. They are separated from Hadrurus arizonensis by the total black carapace, with no light triangle by the eyes. This species is impressive due to it's size. 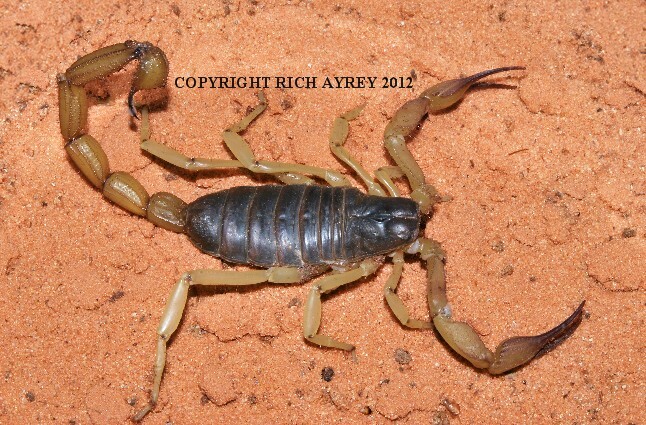 This Arizona Scorpion page created 03/13/08.